Buy - Transport - Profit: Arrange your own 1800s steam train, load it with timber logs and deliver it to the local sawmill while enjoying the realistic driving- and physics experience in a majestic mountain scenery. Hello! Just a quick look at the new log loader! The loader uses rails to move from one car to the next one while lifting logs onto them. It will also need regular maintenance, water and fuel. 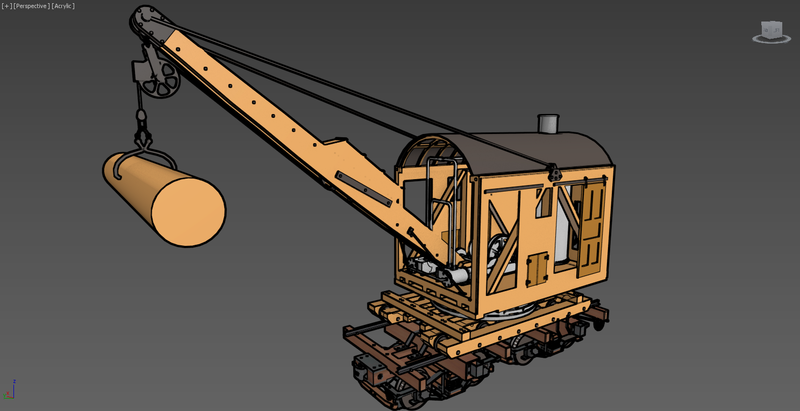 the new log car for update 1.5 has just been finished! The stakes on each side will be removable just like in the current version. American Railraods - Summit River and Pine Valley is an arcade railroading physics simulation of a fictional late 1800s branch line based in the Rocky Mountains. 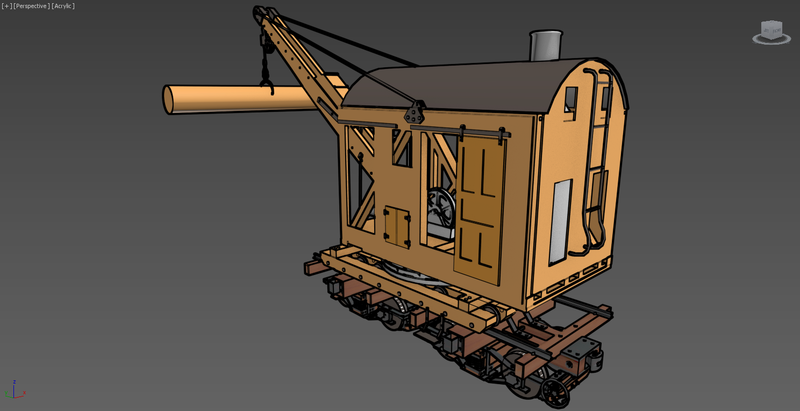 - Fully steerable, kinematically simulated locomotive with working Stephenson valve gear, rods, pistons, axles, bell etc.